The power of images is always a reminder that even within my amazement, it is entirely predictable. When those Kenya doll commercials dropped somewhere in the vein of 1994, I was an 12-year old elated with the idea of owning an object that reflected an idealized style and flesh tone of myself and some of my peers. The image of Michonne re-imagined in a similar form could make designer Peewee Parker a mint. Through the thickness of The Walking Dead's success, the mainstream appeal (and massive sale points) is far from fruitless. The response itself may have a lot to do with it as a niche anomaly. A genre television character who is Black and a woman and here, a Barbie. This made me do a panoramic take upon the occupied space of my own office. A few figures I've acquired over the past, short years are very representative of what the education, personal passion, and ideology it took to build this space. Additionally I asked myself, what can you give a horror fan this holiday that's not the common Funko Pop of Freddy or Jason? Unfortunately, not much was generated with this meticulously specific search. I'm banking on more Parker's emerging to show us something else special, and as time passes, see horror fans demand various shades for their display cases as well. Amok Time Toys is one of the biggest online go-to collectible stores for genre lovers. 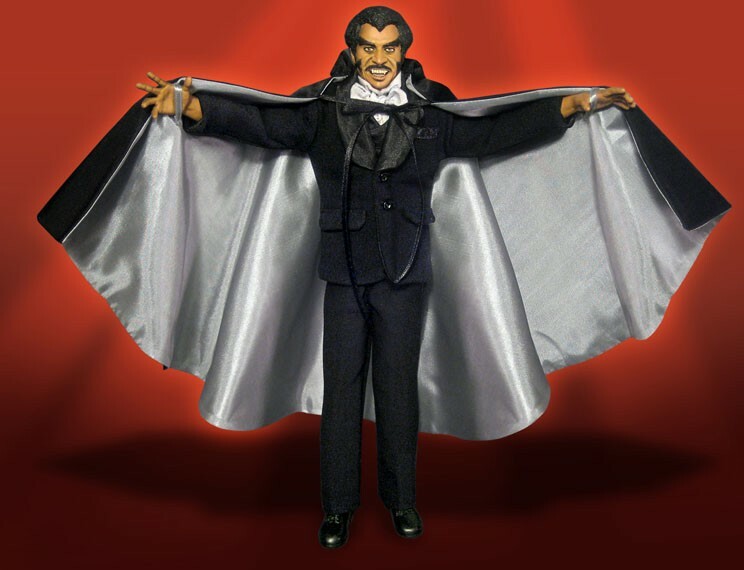 For a cool $125, you can purchase a rare, 500 possibly ever made 1/6th scale Blacula figure. This collectible has a much more reasonable price tag and great shelf piece for any fan of the Lamberto Bava 1985 film. My friend and filmmaker Dan Smith surprised me with one last year and it's a personal favorite. This search wasn't as prosperous as I first imagined. Black horror characters, especially Michonne are already conceptualized in multiple forms already and the two above (besides Blade) are a the two standout's. With this being the case, all this month I'll use the #BlackHorrorHolidays hashtag to find unique gifts for those in search of similar items to give this season to a horror fan. I'm keeping an eye out for art prints, posters, jewelry, lunchboxes, various other figurines/dolls featuring a Black character, imagined or established from genre works. If you happen to think of or find some yourself, share along!